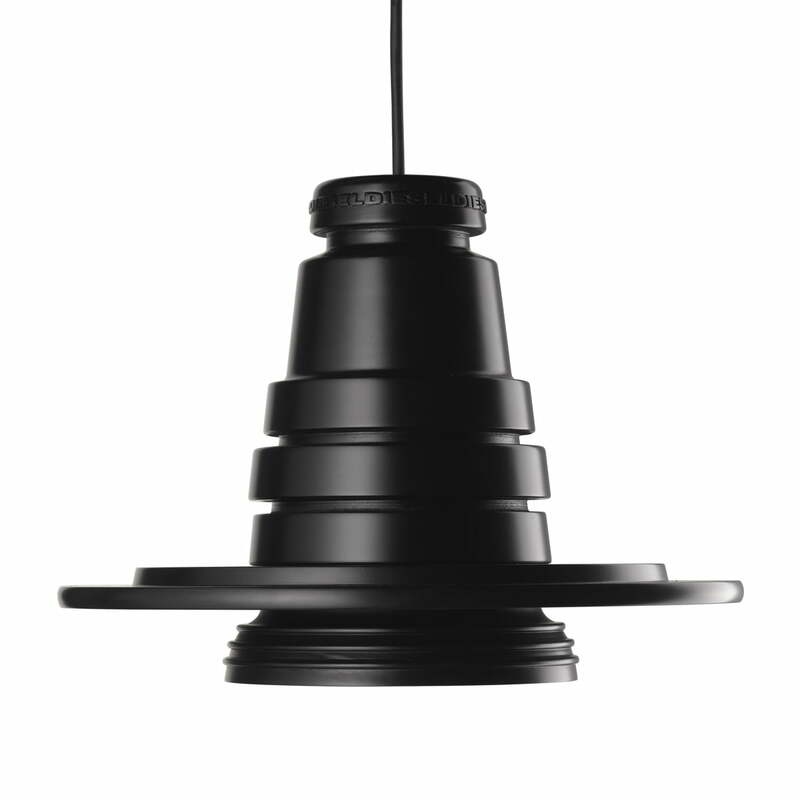 It is not a coincidence that the shape of the Tool Pendant Light by Diesel Living reminds us of the special shape of SLR cameras. 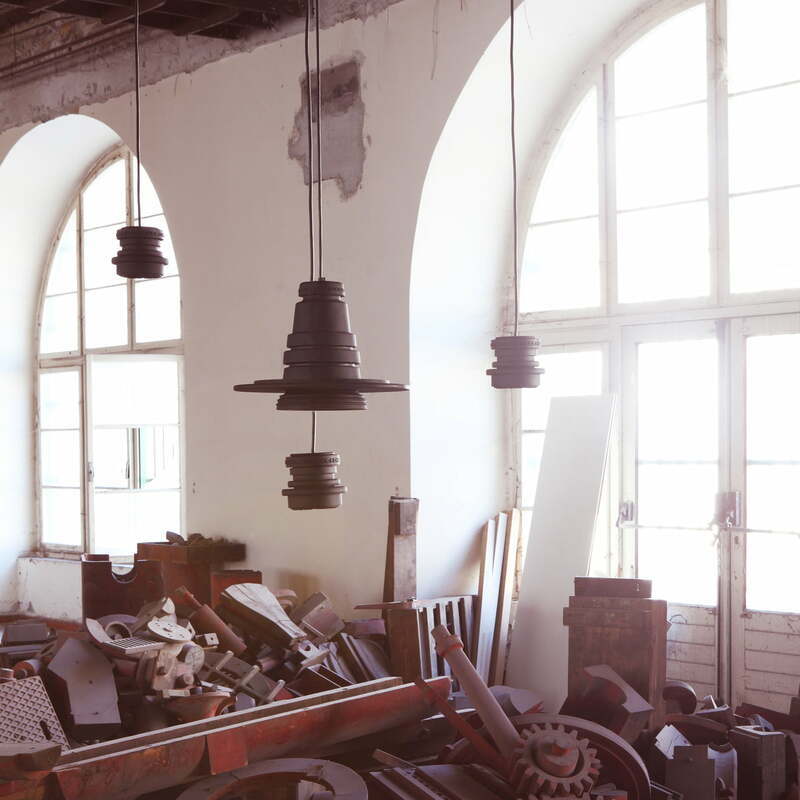 The choice of shapes and materials for the Tool collection is inspired by technologies in their raw state, adding a technological and industrial charm to the lamps. The Tool Lamp is made of rubber and thus consciously imitates the appearance of camera bodies and lenses. The masculine and unusual design of the luminaire is available in two different sizes. This way, the light objects by Diesel Living convinces customers with a bundled and direct light that allows a powerful illumination. 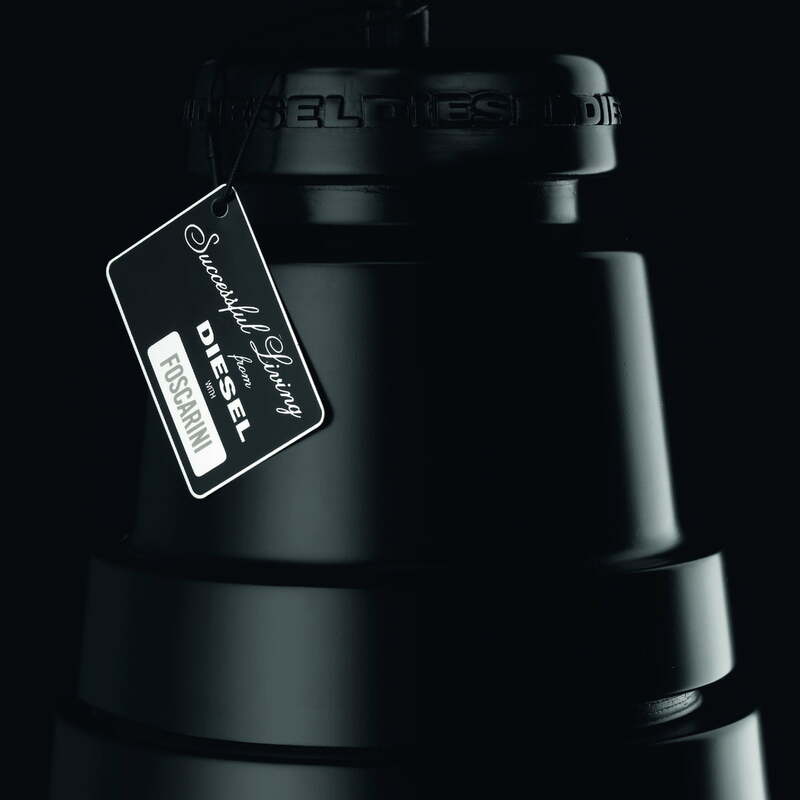 The design of the small pendant light is reduced to fewer elements, although the lamp is decorated with a special logo bearing the name of the collection "successful living from Diesel" and the name of the model. The Tool Lamps scatter a downwards directed light. 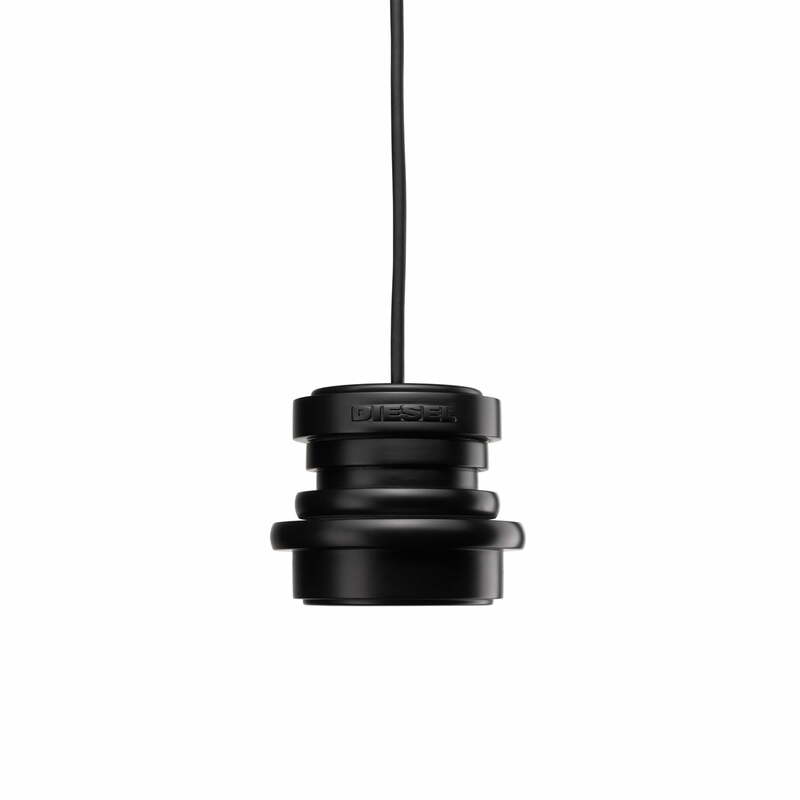 The small Tool Pendant Lamp comes with a GU10 socket, which can hold a halogen illuminant of up to 35 Watts or a LED with up to 4 Watts. 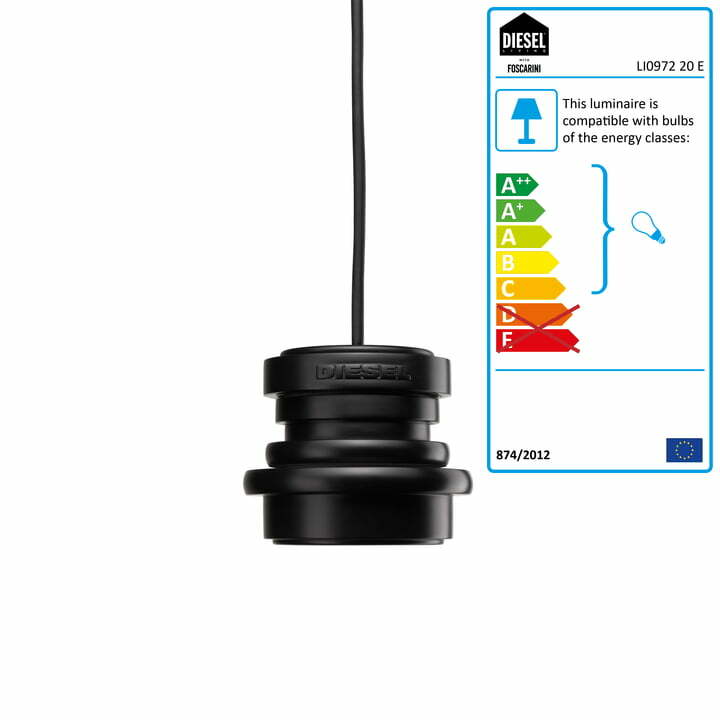 The Grande variant has a G9 socket, which is able to hold a halogen or LED retrofit illuminant to be used with up to 60 Watts. 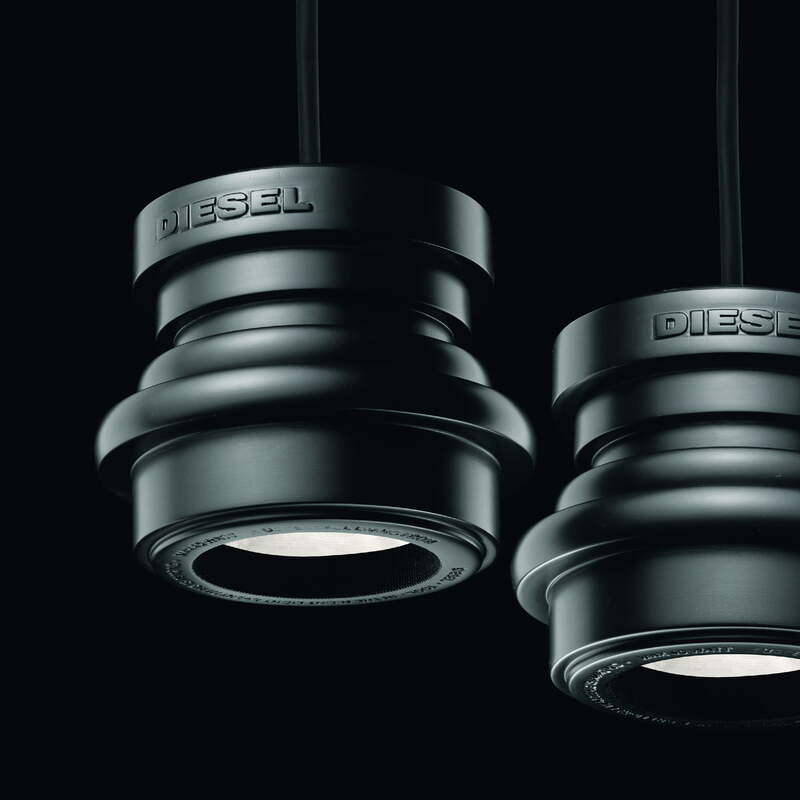 The Diesel Tool Lamps in different sizes can be grouped with multiple canopies, becoming exceptional light compositions of up to 9 lamps. This creates effectively illuminated cascades, which offer sufficient lighting in stairwells or rooms with high ceilings.